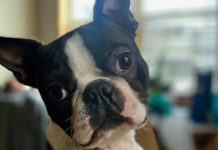 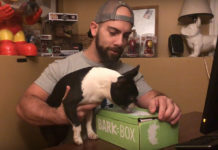 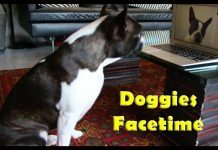 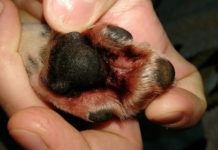 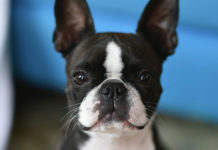 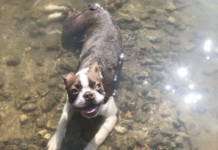 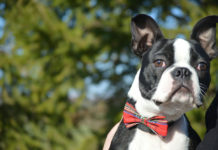 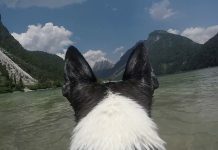 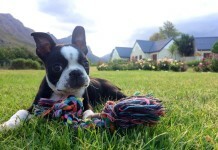 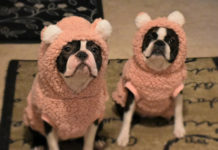 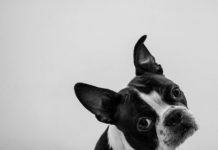 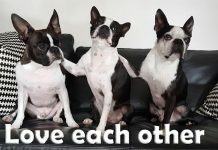 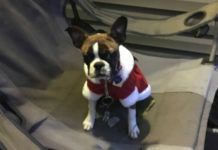 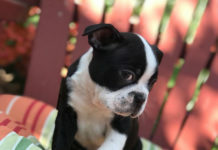 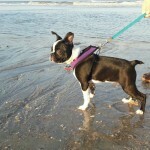 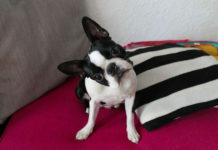 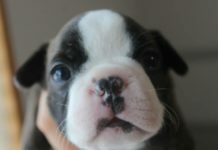 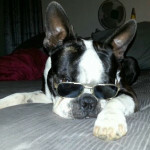 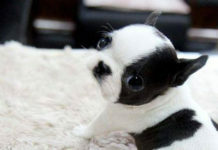 Here is a photo of a Boston Terrier named Penny from Jacksonville, Florida, USA. 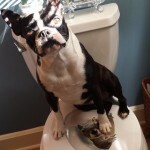 In trouble this morning! 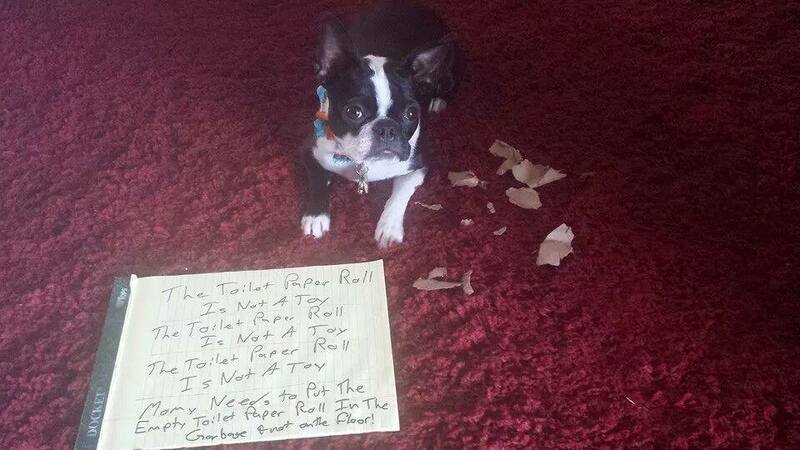 The toilet paper roll is not a toy! 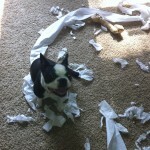 Did this ever happened to you and your dogs?